While the Radiological Society of North America (RSNA) focuses on new technology for radiology, it is where vendors formally introduce all their imaging systems, including those for cardiology. The annual RSNA meeting is also a barometer for new trends in imaging and imaging related information technology. Last year at RSNA, GE and Siemens introduced all new angiography system platforms using the latest low-dose technology. Siemens introduced its new Artis Z and Artis Zen platforms that use new types of X-ray tubes and detectors for very low dose acquisitions. The systems also introduced new software tools to better track devices and guide coronary interventions. GE featured its Interventional Guidance System (IGS) platform, which departs from traditional fixed mounting of high-quality C-arms to the floor or ceiling, instead using a fully motorized, wireless rolling gantry that uses laser guidance to move about the room. This year, Siemens and GE introduced mid-range price versions of their new systems, the Siemens’ Artis One and GE’s IGS 740. Philips followed this year with the introduction of its new Allura Clarity angiography platform, which uses new software algorithms with faster computers to enhance lower dose images by correcting motion, reducing noise and reducing pixel shifting for better cine imaging. The improvements help image smaller vessels and lower dose. Toshiba highlighted its real-time angiography X-ray patient dose monitoring systems, which highlights where on the body the dose is being concentrated, so the physician is more aware and can move the C-arm to minimize damage such as skin burns. Philips introduced its IQon Spectral CT system, which — with the help of a new yttrium based detector — can perform a spectral analysis of the photons passing through the body, similar to a prism separating out the chemical elements that makeup light. Though not yet U.S. Food and Drug Administration (FDA) cleared, the technology can show what materials make up tissues in the body based on the atomic number of elements from the periodic table. The vendor showed examples of how calcium and iodine can be clearly separated to better show the makeup of atherosclerotic plaques and delineate the vessel lumen. Siemens released its next generation dual-source computed tomogrpahy (CT) scanner, the Somatom Force, which is also capable of spectral imaging. The system has the potential to allow use of significantly less contrast than in the past and can perform chest scans without the need for breath holds. GE Healthcare released its new generation Revolution CT platform, which uses entirely redesigned CT components from the ground up using the latest technologies to increase speed, improve image quality and reduce dose. The 256 detector system features and 80 cm bore, a gantry rotation speed of 0.28 seconds and can perform a cardiac CT angiography (CTA) scan in less than a second with less than a 1 mSv dose. For an overview of the key trends and latest technologies, watch the video of the Editor’s Choice of the Most Innovative New Technologies. 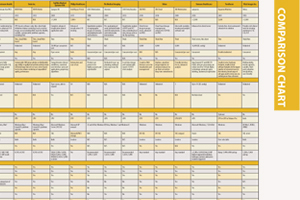 For a listing or more than 350 products vendors highlighted at RSNA 2013, visit the RSNA FastPass microsite and use the yellow bar to search by modality. See below for some of the cardiovascular related imaging technologies featured at RSNA 2013.